What is a MEMS Accelerometer? Most people are familiar with accelerometers; we use them in our daily lives to measure the rate of acceleration in our vehicles, especially cars. Not only can they be used to evaluate the performance of the drive train and braking systems, but devices like these are especially useful when seeking to illustrate the power or performance ability of a vehicle. 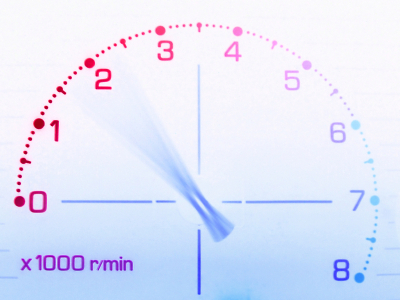 Knowing how fast a vehicle accelerates allows for classifications according to mile time, and lead to attractive descriptions of how quickly a vehicle can accelerate from 0 to 60 mph. What people may not realize about accelerometers is that they can also be used to measure the rate of vibration not only on cars but also buildings, machines, safety installations, and process control systems. It naturally follows that accelerometers can also be used to detect seismic activity, angles of inclination, and dynamic distance as well as speed. There is also a special sub-category of accelerometers that can actually measure the force of gravity; these devices are known as gravimeters. Scientists have now refined accelerometer design and sensitivity to the point where small accelerometers can actually be attached to notebooks. These notebooks are then used at earthquake sites to provide both quake measurements as well as a place to immediately write down pertinent information that the accelerometer may reveal while researchers are visiting the quake site. Surprisingly enough, delicate accelerometers can also be used to track animals. By measuring wavelength frequencies and muscle acceleration, among other things, researchers are able to keep track of an animal’s behavioral patterns even when that animal may be out of sight. And by using an accelerometer to determine the frequency of the animal’s limb strokes or using accelerometer data to measure their Overall Dynamic Body Acceleration, animal scientists are equally able to discover how much energy an animal uses in the wild and how quickly they expend that energy. These qualities have made accelerators very popular with marine biologists and others who study water animals, since their subjects will usually be hidden from view for the majority of their research. There are medical applications for accelerometers as well. Many walkers and runners now enjoy a specialized type of pedometer that employs accelerometer technology in order to calculate speed and distance. They have also been used in emergency situations to determine the number and depth of chest compressions during CPR. Other fields that regularly employ accelerometers include navigation, transportation, consumer electronics, and structural integrity which feed into construction, architecture, and other building-related trades. In short, wherever a measurement of vibrations, pressure, energy expenditure, or of course acceleration is useful, an accelerometer is key. MEMS accelerometers use nanotechnology in order to enhance the natural abilities common between all accelerators; hence, these devices are extremely fine-tuned and accurate. MEMS stands for Micro Electro Mechanical Systems, and when discussing the technicalities of accelerometers it refers specifically to a mass-displacer that can translate external forces such as gravity into kinetic motion energy. This part of the accelerometer usually contains some type of spring force in order to balance the external pressure and displace its mass, thus leading to the motion that produces acceleration. MEMS accelerometers are actually the simplest type, since they consist of little more than a seismic mass, also known as a proof mass, as well as a cantilever beam. Oftentimes residual gas becomes sealed inside the device, which can cause damping over time but is usually not too severe unless the Q-factor is too low. In this case the damping process can cause a loss of sensitivity. The mechanism works like this: external force is applied and shifts the position of the proof mass from a neutral position to an active position; typically the amount of this deflection is measured by analog or digital readouts. The variations can be charted by using a set of beams that are fixed in place contrasting with a set of beams that have been attached to the surface of the proof mass somehow. Such a simple system makes the accelerometer not only reliable but also relatively inexpensive to manufacture. In some cases there have been questions about the accuracy of the spring inside the mechanism, since it is known that spring devices can warp or deteriorate over time; in this case it is possible to apply a series of piezoresistors to the springs to detect any deformities and ensure their accuracy. If these additional parts are inserted, the manufacturing process becomes somewhat longer and more complicated and the device becomes slightly pricier. Top-notch MEMS accelerators are built with quantum tunneling in order to achieve the highest sensitivity possible. These accelerators are accurate enough that they can be measured optically and despite their high cost are the ideal laboratory equipment. Less commonly, a MEMS accelerator may have a small heater inside the base of a dome-shaped structure which heats the air inside and causes it to rise. The dome is equipped with a thermocouple to mark where the heated air hits the dome’s upper shell, and by measuring how far off-center the air is, the level of deflection can be ascertained. This deflection measurement is the amount of acceleration that has been applied to the sensor. However, this type of accelerator is generally considered far inferior to the previous model. Most accelerometers function on one axis, but two-axis and three-axis models have been invented. The three-axis model is naturally more expensive but also far more accurate; if this model isn’t used then three one-axis accelerometers will typically be combined after construction, with far less accurate results. There is also a direct relationship between the number of g’s that can be measured and the accuracy and sensitivity of the device. Usually the higher the device can measure, the more the accuracy suffers. Nanotechnology has already enhanced many industrial areas, and now its effects can be seen in devices as specialized as the accelerometer. One of the crucial uses for MEMS accelerometers in particular has been airbag deployment systems; they literally save lives because they are able to judge when two cars have struck each other and even ascertain the severity of the collision, adjusting airbag size and rate of deployment accordingly. Back from What is a MEMS Accelerometer to Nanogloss homepage……. This entry was posted on August 18, 2009, 12:16 pm and is filed under mems. You can follow any responses to this entry through RSS 2.0. You can leave a response, or trackback from your own site.